Problem was that the Mirror doesn’t know the rules. The Premier League’s dishes out an automatic three-game ban for violent conduct. Uefa gives only a one-game automatic ban, with no right of appeal. Uefa regulation 50.01 says “in case of serious offences, the Uefa control, ethics and disciplinary body is entitled to augment this punishment”. 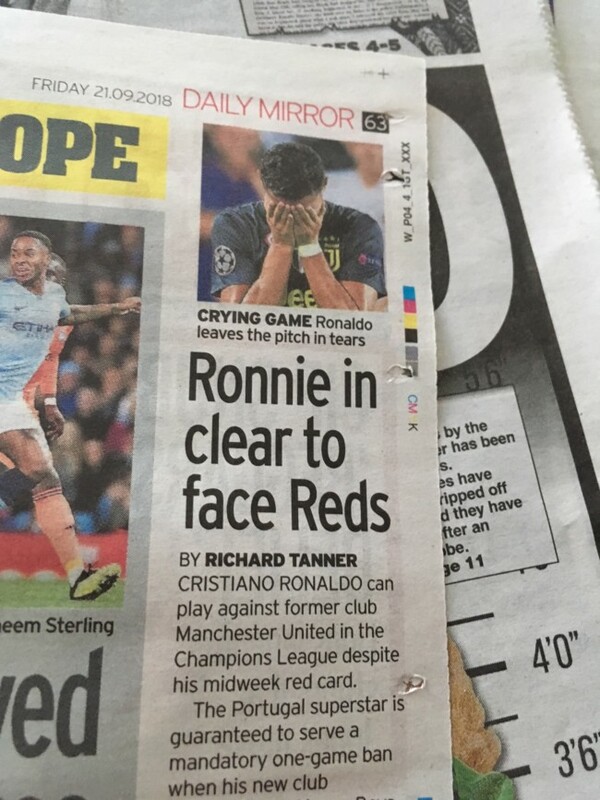 Daily Mirror: The exact same quote but with no source attributed.